Nice to meet you! We’re JFK Lawn & Landscaping. Hey there! Before we jump into introductions, we wanted to take a second to say thanks for checking out our new site and, more specifically, our new blog! We’re glad you found us, because we’re pretty excited about this new site (thanks, Adventure Web!) and the new blog platform to engage with you, our customers! With that out of the way, please allow us to introduce ourselves. 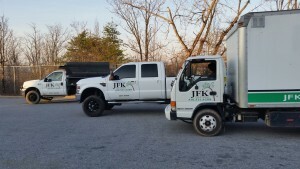 We’re JFK Lawn & Landscape, and we’re here to help you beautify your residential or commercial property with our top-notch lawn and landscaping service. (We also do snow removal, but we hope we don’t need to mention that until next December at the earliest.) We’re glad to meet you, and we hope we get to work with you in the near future! 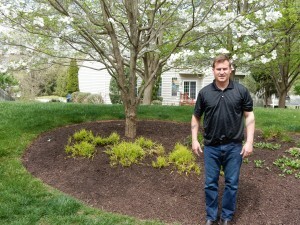 Born and bred in Howard County, Jason Kahler always had passions for landscaping and for helping his neighbors. At the ripe age of 20 in 2004, Jason turned those passions into a business when he started JFK Lawn & Landscaping. Believe it or not, this month marks our 12th year serving Howard County, with recent expansions to Montgomery and Carroll Counties! We know — sometimes we can’t believe it either. If you want to learn more about Jason and his business, head on over to our “About Us” page. Well, we’re a landscaping company! That much is clear. Feel free to scroll over the “Services” tab in our menu bar to learn what we can do for you. What sets us apart is really a matter of how we do it. Like we mentioned above, Jason got his start in landscaping by helping his neighbors, so he took that same feeling with him when he started JFK. He isn’t just your landscaping guy; he’s your neighbor. He takes this mission to heart so much so that he’s involved with every project JFK does and is often on-site, working with the crew. Well, that’s pretty much it for this week’s blog post! We hope you’ll keep coming back to check out our blog for more lawn and landscaping news, tips, and tricks, and to keep up with what we’re doing here at JFK Lawn and Landscaping. Here’s to a fantastic thirteenth year! While you’re here, don’t forget to follow us on our new and growing Facebook, Twitter, and Google+ pages to stay up to date on our blog and the latest landscaping news, tips, and tricks! This entry was posted on Friday, April 15th, 2016 at 4:17 pm. Both comments and pings are currently closed.